If you were already in love with your year-old Sony Cyber-shot RX100 (or just loved the pint-size point-and-shoot powerhouse from afar), get ready for even more fixed-lens imaging goodness. Sony has announced the Cyber-shot RX100 II, a new and improved version in the same genre that will be sold alongside the original camera. 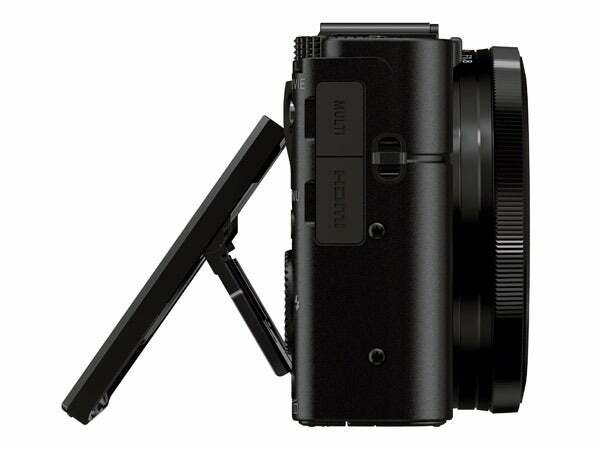 The Cyber-shot RX100 II boasts a new 1-inch, back-illuminated 20.2-megapixel Exmor R CMOS sensor. That construction boosts light sensitivity by about 40 percent, according to Sony, and also reduces noise. 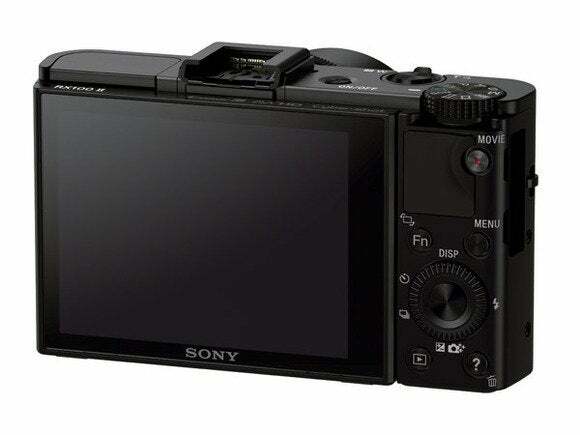 The camera's F1.8 lens has an ISO range of 160 to 12800 (expandable up to 25600), Wi-Fi sharing, and an expandable hot shoe system, while the swift AF can focus in 0.13 seconds, Sony says. The camera now supports 1080p video recording at 24 frames per second. It features a Carl Zeiss Vario-Sonnar T lens with a 3.6x (28-100mm at 35mm equivalent) optical zoom coupled with a wide F1.8 aperture and a nearly round seven-blade diaphragm. The new camera is designed to offer more powerful zoom capability and better background defocusing. A step zoom function lets you choose among five focal lengths using the camera’s control ring to facilitate scene framing: 28mm, 35mm, 50mm, 70mm or 100mm. The camera’s 3.0-inch, 1,229k-dot monitor promises to display scenes sharply, even in bright sunlight. It can be tilted up to 45 degrees downward to shoot over crowds or up to 84 degrees upward for low-to-the-ground subjects. The camera's multi interface shoe facilitates a wide range of accessories for both still and video shooting. You can attach an electronic viewfinder, external flash unit, and stereo microphone. You can also connect with a remote control via the camera's multi terminal. Let's not forget connectivity for the social networking crowd—this camera works with Android smartphones or tablets to create a connection via Near Field Communication (NFC) technology, the first Sony camera to do so. No setup is needed beyond downloading the free PlayMemories Mobile app to your device. Once connected, you can remotely control the camera’s shutter release and receive images via Wi-Fi. And if that's not enough, Sony also released a new companion to its RX1, called the Cyber-shot RX1R—giving Sony two full-frame compact cameras in its arsenal. This model, virtually identical to its older sibling, has one major difference: it ships without an optical low-pass (anti-aliasing) filter in front of the sensor, to give you a full 24.3 megapixels for each shot. You may see more artifacts and moire patterns in your shots as a result, but you'll also get sharper photos. Both caneras have the same look and feel as their existing siblings, but sport improvements under the hood. The RX100 II is available for pre-order for $750, $100 more than the RX100. The new RX1R carries the same $2800 price tag as the RX1, and is also available for pre-order. Both models will go on sale in mid-July.